MILAN (Reuters) -- Italian consumer group Altroconsumo will launch an appeal after a court rejected its class action case against Volkswagen in which it accused the carmaker of understating the level of CO2 emissions in one of its models. 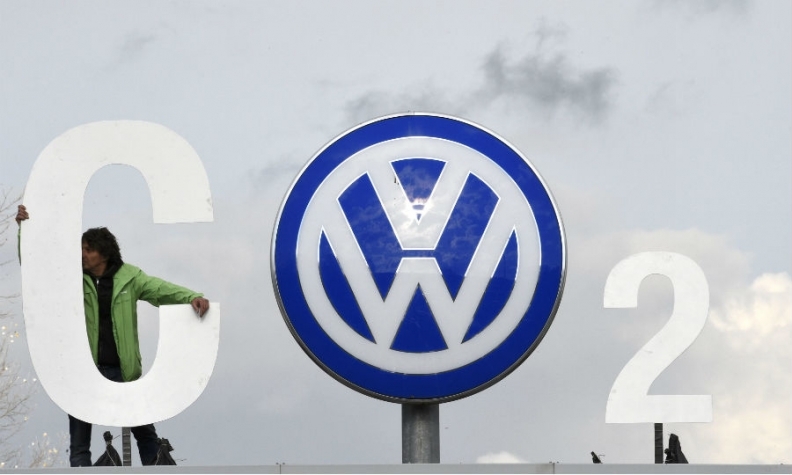 Altroconsumo filed the class action in September 2014, a year before Volkswagen was engulfed in a scandal over its cheating of diesel emissions tests and before it admitted late last year to understating fuel consumption on about 36,000 cars. The consumer group had filed a similar class action against Fiat Chrysler that was rejected by a lower court, but later accepted after an appeal. "For this we are more than confident and move forward. Our battle for transparency continues," Marco Pierani, Altroconsumo's head of external relations, said in a statement. Altroconsumo said in 2014 it had done laboratory tests on a Volkswagen Golf 1.6 TDI BM model, which resulted in CO2 emissions 50 percent higher than those declared by the carmaker. In the class action it asked that Volkswagen be ordered to pay around 500 euros ($542) in damages to each owner of the tested model. The class action was lodged with a court in Venice, whose catchment area covers the city of Verona, where Volkswagen has its Italian headquarters. So far, 9,645 people have signed the class action at this preliminary stage.